Get comfortable using your rifle! Last month we talked about learning your rifle and the scope you are using on it. This is a very important part of becoming proficient with your set up, and a better hunter and shooter in the long run. Once you have dialed in your shooting set up and have become a great shot, it's time to start taking things to the next level. This is just simply to become more comfortable with your rifle and acquiring your target quickly. This can start out with simply having your rifle on the shooting bench, sitting down and quickly getting behind the scope and getting on target. 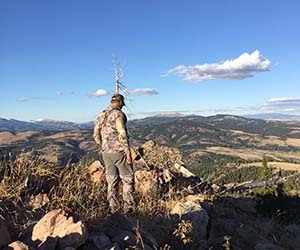 This simple activity will go a long ways when you are out in the field and it comes time to get on the animal and make a shot. Often times its only a matter of minutes to acquire the target and make the shot, before the animal walks off. As you become better at getting on target from the bench, it's time to take things a step further. As often is the case, shots are not usually made from a bench while out in the field on a hunt. So it becomes important to practice using your rifle in different shooting positions. This will also give you a great idea of what positions you prefer to shoot from and then practice the ones that you struggle with. Common shooting positions while in the field are usually prone, sitting, or standing with the use of shooting sticks. All these positions present different obstacles to work through and get on target quickly. When out in the field, things aren't usually flat and comfortable. So, if possible, it is very helpful to practice all this at angles and on uneven ground. The other thing to really work on while practicing in different positions, is target acquisition. One of the keys to finding the target in your scope, is to look at the target with your eyes and then bring the scope to your eyes. The habit becomes looking at the target, then going to the scope and trying to move the scope to the target. This often takes a lot longer to find the target. Something to keep in mind when practicing getting on target, is what power your scope is on. The higher the power, the less field of view you will see as you look through it. This can make it difficult to get on target quickly. The best way to get on targert, is to have the scope on a low power setting and then turn it up after you have acquired the target. Practicing all these things will make you more prepared for your hunt. 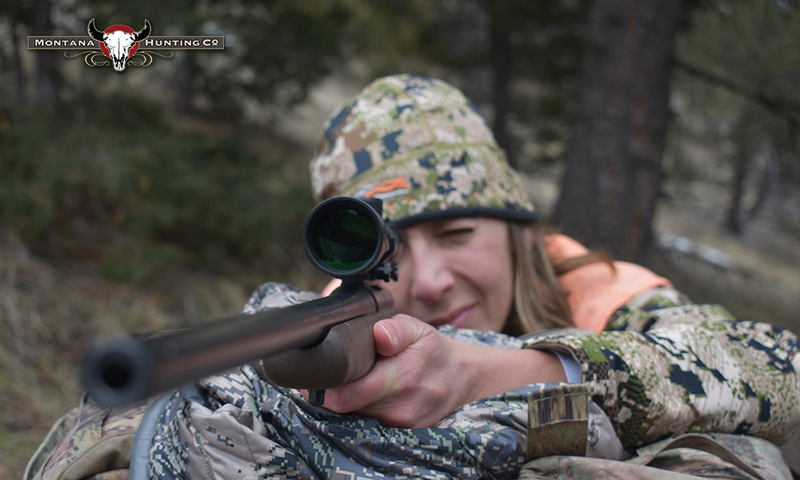 It's all about becoming with your rifle and scope, so that it is second nature when you get ready to make a shot!